That is right. The CSGO market has basically been crippled with the new 7 day trade rule. In case you have been living under a rock for the past few years, let me update you on what happened in an tl;dr. Any time you receive CSGO items (Skins, keys, stickers, etc. ), they are locked on your account for 1 week. That means for 1 week, you cannot re-trade them for other items, or sell them. You cannot even open cases with them. They just sit there in your inventory gathering dust. Same with PUBG items, but worse. PUBG items cannot be traded at all. You heard me. PUBG keys, and PUBG skins can no longer be transferred to other Steam users. So what is left? Basically the only big games which did not have their markets totally screwed up are Team Fortress 2 and DOTA2. DOTA2 items are unfortunately very unpopular. One reason is that they are all in Skin form, there are no keys anymore on DOTA2. Another reason is that DOTA is mostly popular in Southeast Asia and overseas, not so much in North America. I am not saying it has 0 players, just it is not as popular as other titles. TF2 Keys are now the most popular items for trading on Steam. Period. That is because they are well recognized as an unofficial currency for all traders. It used to be the case for CSGO keys as well, but now that these items are locked on your account for 1 week every time they change hands, they have become much less useful for trading. Interestingly, you can still trade TF2 Keys for CSGO Skins or Keys, but it means that TF2 Keys are valued higher because they are tradable instantly afterwards. It means that TF2 Keys are the best pound for pound value for trading. You should always buy TF2 Keys if you wish to trade for Skins or anything else involving trading. You will get more value with TF2 Keys because other players know they can trade them instantly as well. 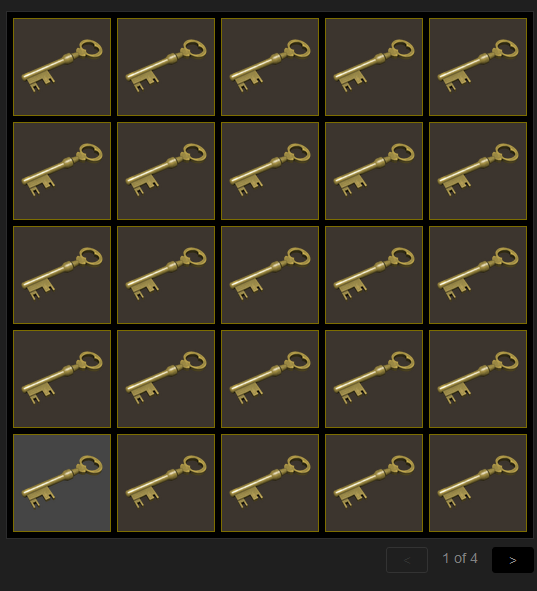 To be specific, TF2 Keys are known in-game as Mann Co. Supply Crate Keys. They open the Mann Co. Supply Crate. If you are looking for the cheapest TF2 Keys , then you need to buy them from third parties. One of the best places to do that is right here on R2Pleasent.com. Instead of paying $2.50 on the Steam Community Market (and waiting a week cooldown, since they are bought from market), TF2 keys you buy on our site are instantly tradable, and only cost $1.99 USD! That is a considerably cheaper price for the exact same item. If you are looking to get trading, you definitely do not want to wait a week before your items are active. So start making the smart decision, and use TF2 Keys for trading. It is very easy to get started. Just add the desired amount of keys to your cart and then proceed to checkout on our website. We have 24/7 Live Support, so our agents can help you with anything in real time. They all speak fluent English and have over 2 years of experience trading digital items like TF2 Keys. Of course, if you still would prefer to buy CSGO Keys, we have those in stock too, but this article should prove that CSGO Keys are inferior to TF2 Keys for trading! Whatever your choice, just know we will be here to make your gaming experience better. Good luck and have fun, comrades.